Renthal® Lock-On grips feature CNC aluminium locking collars, permanently integrated with the central core, giving the ultimate all-weather security on the handlebar. The integrated construction eliminates any movement between the grip section and the collars, which could otherwise develop over time. The handlebar grip is your key contact point for controlling your bike. Having a grip suited to your individual demands is hugely important. Renthal's new and unique Ultra Tacky™ compound constantly produces and renews a sticky surface coating. The resulting adhesive grip surface massively increases control and reduces fatigue. If the grip loses its stickiness, simply wash with clean water and allow the grips to air dry to re-activate. The sticky surface remains active in wet or dry conditions and works equally well with or without gloves. The Ultra Tacky compound gives ultimate control in all conditions. 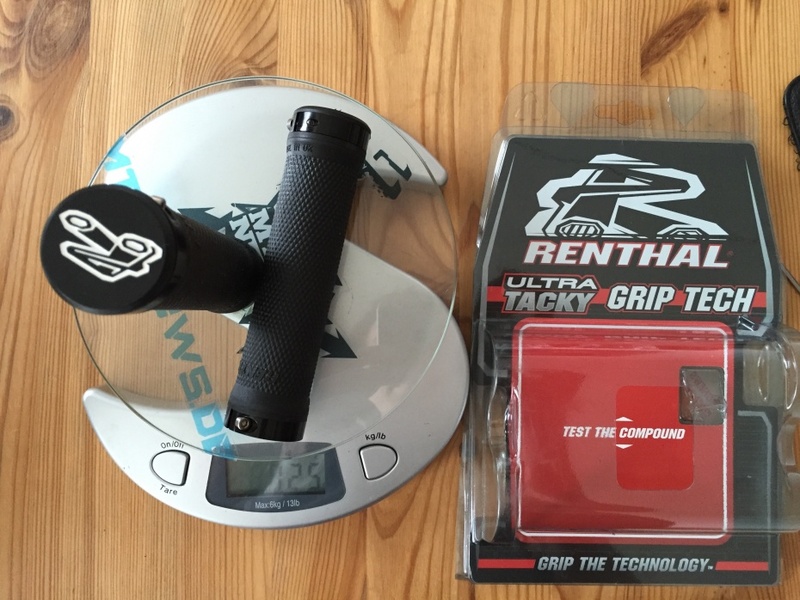 Renthal® Lock-On grips are designed to ride faster, jump further and last longer.